State Sen. Brian A. Joyce will pay nearly $5,000 for tapping campaign funds to pay for his son’s 2014 high school graduation party under an agreement made public by the state Office of Campaign and Political Finance Wednesday. In a press release, campaign finance officials said Joyce used campaign funds for personal expenses and failed to disclose campaign finance activity or keep detailed records. But regulators did not require Joyce to admit any wrongdoing as part of the deal. In addition, a former campaign worker repaid Joyce’s campaign fund for allegedly making $4,480 in improper cash withdrawals using a campaign debit card, according to the agreement. In a prepared statement, Joyce said the investigation included “no finding of wrongdoing on my part.” He defended the graduation party, saying that the hundreds of guests who attended could “enhance his political future.” He said most of the issues raised by regulators were accounting errors and pointed out that he reported the campaign worker who made unauthorized withdrawals. “As I continue to represent my constituents and serve my clients, I will also attempt to repair the damage these allegations have cost me politically, professionally and personally,” he wrote. A Randolph dry cleaner said he gave State Senator Brian Joyce free laundry services for more than a decade. Joyce also said that he has hired an outside compliance firm to act as his campaign treasurer as part of the agreement. Joyce was required to use his own money, not campaign funds, to pay the total -- $3,367, which was the amount of campaign funds he spent on the graduation party and an additional $1,250. The payments will go to the Massachusetts Hospital School and other local charities, according to the agreement. If he fails to comply with the agreement in the future, he will be required to pay another $1,250. 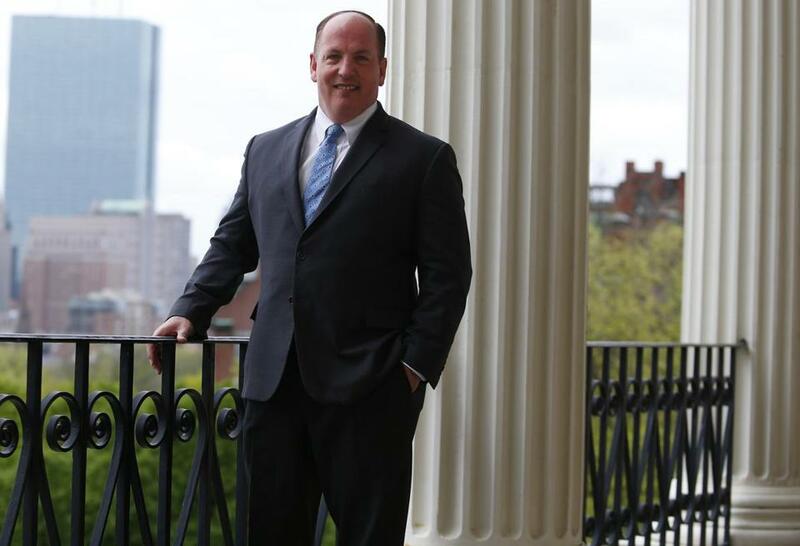 “The results of this investigation, along with the numerous reports of Brian Joyce’s ethical problems, only confirm that the Democrats’ culture of corruption is alive and well on Beacon Hill,” said Terry McCormack, a spokesman for Massachusetts Republicans. Joyce, an attorney, has faced questions about his personal conduct before, stepping down as assistant majority leader last year amid an investigation by the state Ethics Commission. According to Joyce’s colleagues, the ethics commission launched an investigation after the Globe reported last May that Joyce had met with state insurance regulators on behalf of a private client, Energi. In a statement, Joyce blamed newspaper articles for fueling the state scrutiny of him. He noted that the state Ethics Commission has already decided to take no action on one issue raised by the Globe: his purchase of designer sunglasses at a deep discount as holiday gifts for his Senate colleagues. When the Globe first wrote about the graduation party, Joyce claimed it was part of his reelection campaign, even though he had no opponent. Joyce wouldn’t speak directly to the Globe, but his attorney David Rich said the June, 2014 party for Joyce’s son was an example of a “friend-raiser” event that combined the personal and the political. But someone who attended the party said if it was a campaign event, he couldn’t see any evidence of it. He saw no literature or election signs. In the agreement, the veteran lawmaker and lawyer said he thought the party was an acceptable use of campaign funds. “I feel strongly about election law compliance and my committee will go above and beyond to make sure everyone associated with the campaign adheres to the letter and spirit of the law,” Joyce said in a statement. Last week, the governor called on the state Ethics Commission to investigate another issue, after the Globe reported that Joyce had received free dry cleaning from a business in his district for more than a decade. 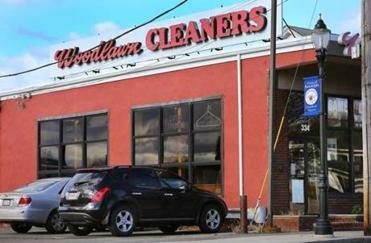 The story said that the Milton Democrat brought his suits, his family’s clothes and sometimes his legislative aide’s clothes to Woodlawn Cleaners in Randolph after the owner, Jerry Richman, casually offered to clean his clothes for free in 1997. The arrangement, Richman said, lasted until he sold the business in 2008 -- when Joyce tried writing into the sales agreement that the new owner extend the deal. The new owner said he crossed out the wording. Joyce’s lawyers said the senator received free dry cleaning in exchange for free or discounted legal services he provided to Richman. But the Globe story pointed out that Joyce received the free laundry and dry cleaning for several years before Joyce’s firm represented Richman. The ethics commission is continuing to investigate issues related to Joyce’s work on behalf of Energi. Joyce stepped down as assistant majority leader last year amid the investigations by OCPF and the ethics commission. Senate President Stanley Rosenberg last week said through a spokeswoman that the Senate would not take any action until all investigations are complete.